Welcome To Azurelise Chocolate Truffles! 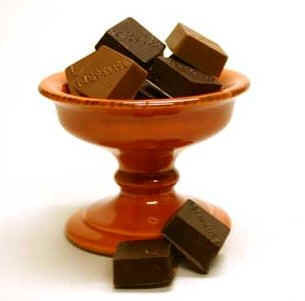 Azurelise has made chocolate gift giving for birthdays, anniversaries, host and hostess gifts etc., ridiculously easy. Simply navigate to the 26 flavor chocolate truffle menu on our order page, choose a box size (9, 18 or 30 piece), fill the box with chocolate truffles and add it to your shopping cart. Even the hardest to please chocolate enthusiasts on your gift list will be impressed. That is exactly what I want. Take me to your menu.